Well for the last month with my family I had visited the Wildhawk Adventures, and it was a place that has left me with fond memories. 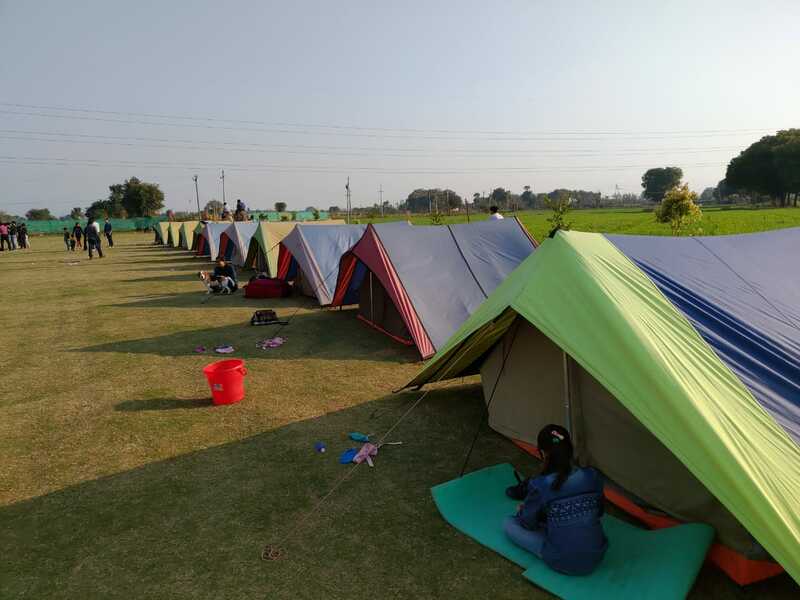 It is located at the Mangar Village at the Dhauj, Haryana and is very easy to reach there from Delhi.Located Just 35 Kms from Gurgaon on Gurgaon – Faridabad Highway! A Perfect Place for Corporates, Family gatherings and School’s Outing. In an hour or so you are at the location. 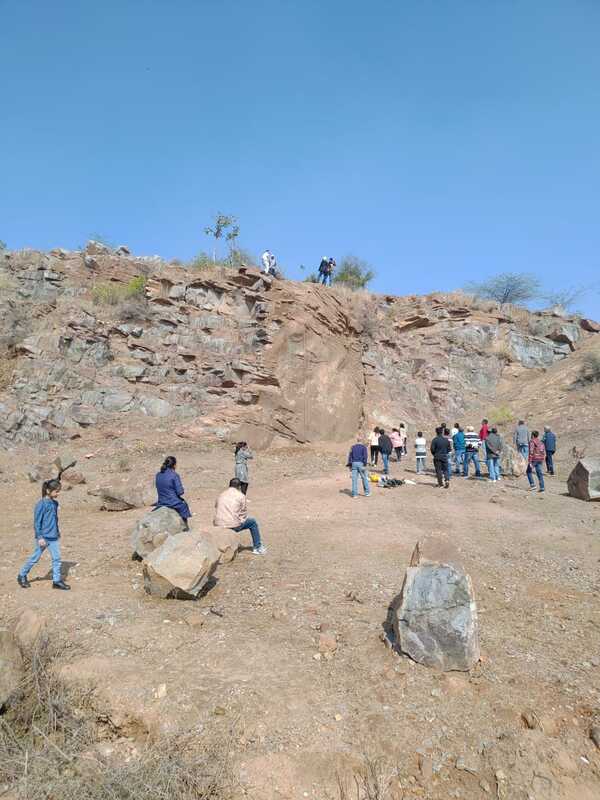 It is encompassed by the beautiful Aravali Hills. 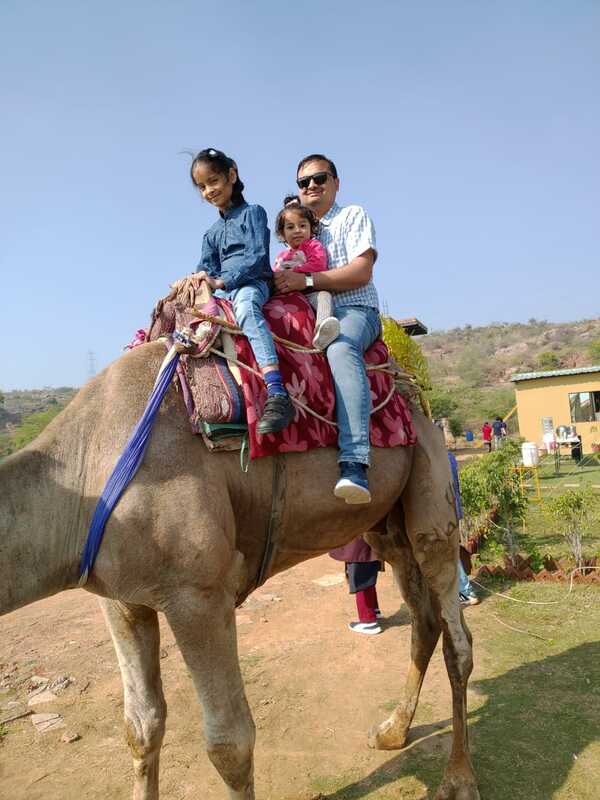 The camp gave me the opportunity to connect with the nature, it was nothing less that a retreat for a mother and wife, with her kids and husband. The activities that we did there were so much of fun, like the rope course it had the tarzan swing, net walk, step bridge, woodside walk, tyre travel, net wall climbing and many more. 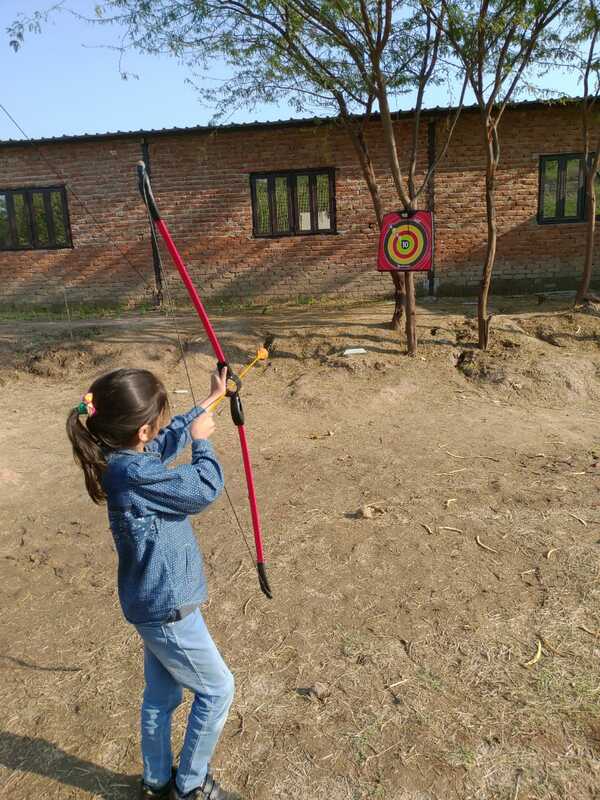 The area that was designated for the play was safe and was kids friendly and as per the age the kids could indulge in the activity.For the elder groups there were urban sports and I had a blast trying my hands at archery. 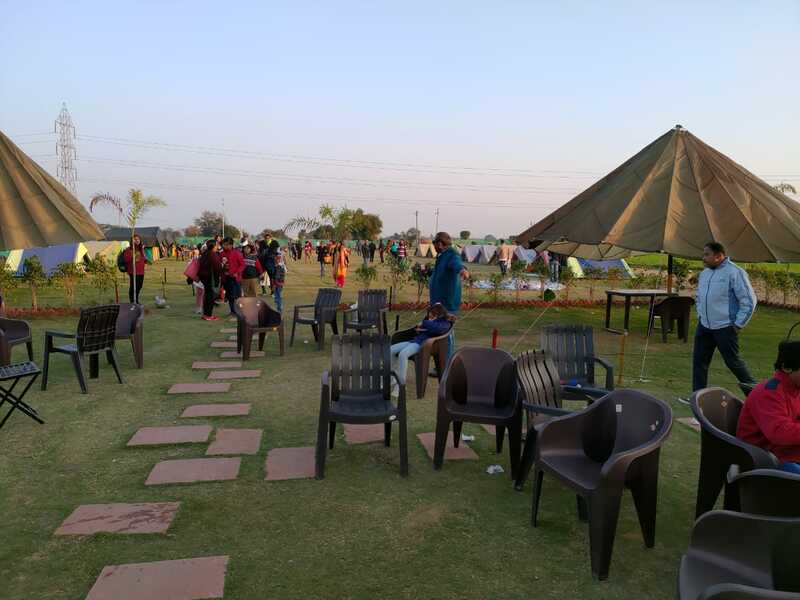 Day picnic- located near Gurgaon this place is best for day picnic. One can go there in, group of 8 or more and enjoy the day in the lap of nature. It’s a quick retreat for the college students, school trips, family gatherings and even for the corporate retreats. Reach there by 9:00Am in the morning and till 6:00 PM in the evening enjoy your day. Activities- It has plethora of activities to be done. You name the childhood sport that you used to play in the bylanes of your city and you have it there. 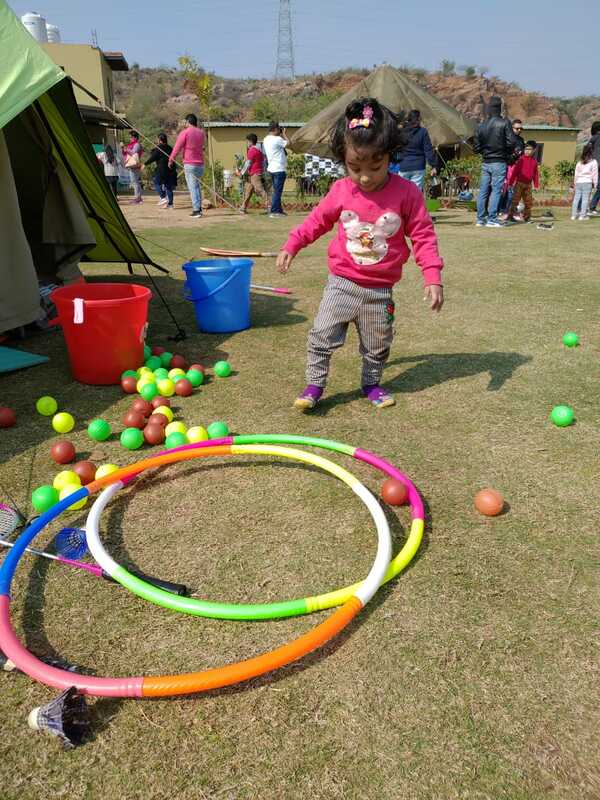 Gillydanda, kancheGoli, Gitthu, Sack Race, Khokho, Kabbadi, Carrom, Ludo, Gulel and many more it has all. There are adventure activities also like the natural rock climbing, repelling, flying fox and many more. For the kids there was camel ride, zorbing, and so much to do. 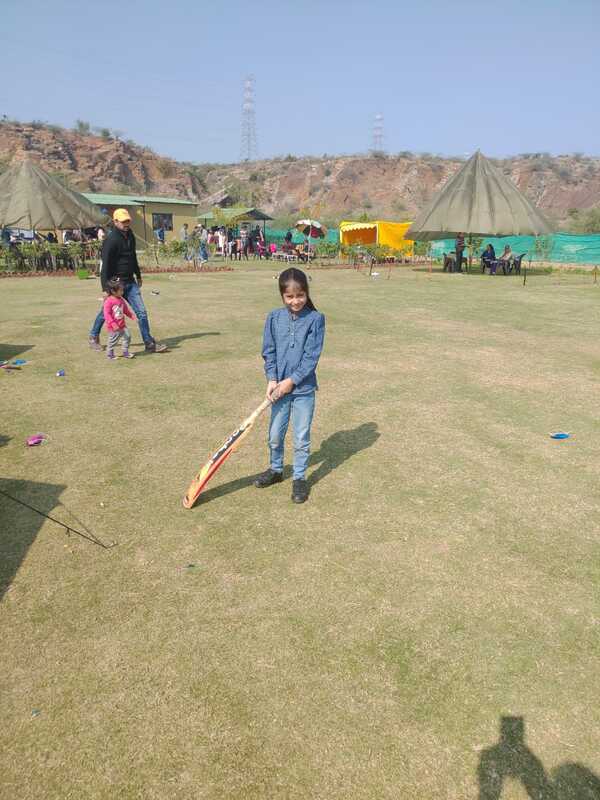 Urban sport activities like badminton, cricket, volleyball, football and many more. In plain simple words you name the activity and its there. As mentioned there was rope course activities that the kids and the adults could do. There is an animal farm to explore. Night camping- though we did not stay there for the night, the Wildhawk has excellent option for the night halt. There is music and bon fire to help you have fun and set the perfect aura for the picnic. There are 22 tents in which, the night can be spent easily. The tents do not have attached toilets there is a common toilet for all, but apart from it has the entire modern facilities. Food- the packages include the best and hygienic food options. 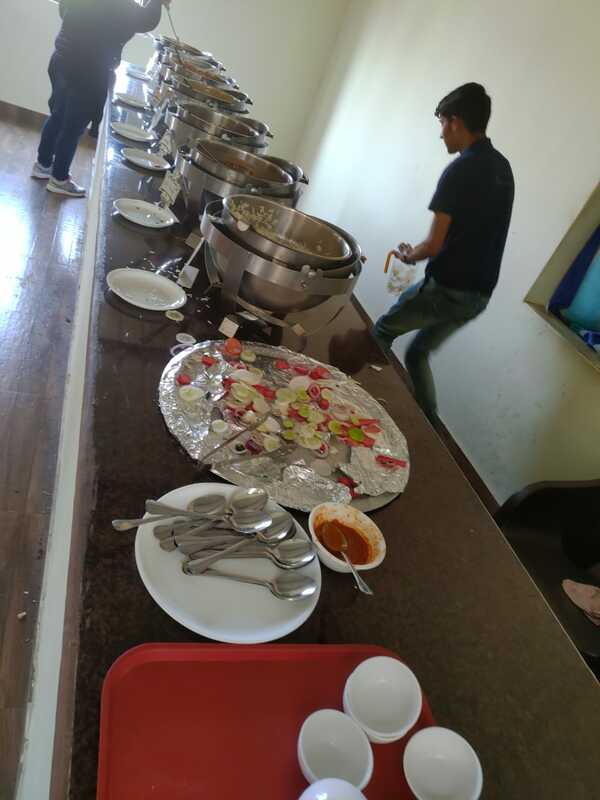 As you entire the premises in morning you served hot tea with breakfast for the lunch there is both veg and non- vegetarian options. In the evening there is another round of tea with some snacks and if you stay back for the night there is dinner option also there. Staff- the staff there is super friendly and very polite. They guided in the premises with utmost love and helped us to have fun. They served food with extreme love and affection as if we were just family for them. Apart from this the staff who were in charge of the games helped us to learn the play and play it with utmost comfort levels. Charges- there is different packages available and depending on the number of people are in the group they charge. The charges are fairly reasonable as the place, the quality of services and the food is excellent. Apart from the packages there are few rides for which you need to pay additionally to enjoy and it is totally worth the penny. It was the most memorable day and I had super fun by going there. The place was super beautiful and in the lap of nature, there is so much to do. My kids, my husband and I had super fun. It was a real detoxing and rejuvenating experience for me. I absolutely love such destinations away from the hustle bustle of the city life where I can enjoy with family and friends and this place looks perfect for it. Night camping sounds super interesting. This place looks a complete worth for family and friends day to be spent. Wow..looks as if little cuties have so much fun..it’s vacations time and I think I should I also plan for this with my kids. I was looking for one such place. Wildhawk will be the best weekend gateaway. Thanks for sharing a word about it.